A thank you note from Martha Berry regarding some books Mr. Goodspeed donated to the Berry Schools. 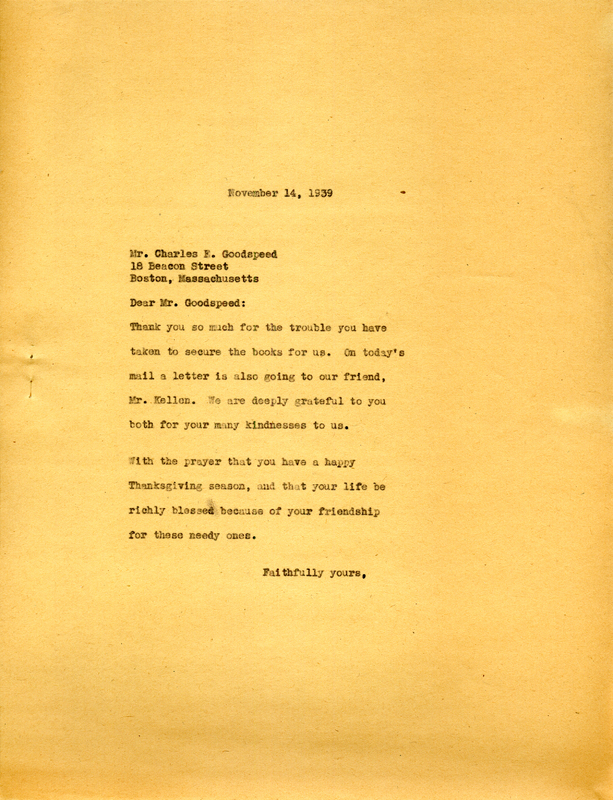 Martha Berry, “Letter to Mr. Charles E. Goodspeed from Martha Berry.” Martha Berry Digital Archive. Eds. Schlitz, Stephanie A., Savannah Harris, Jessica Hornbuckle, et al. Mount Berry: Berry College, 2016. accessed April 20, 2019, https://mbda.berry.edu/items/show/14985.